Amherst Curling Club only shares personal information to billing companies for completing transactions and for no other purpose. No other information is shared with any other third-party company for any purpose, under any circumstance. Amherst Curling Club makes every effort to preserve your privacy, personal information may be disclosed when required by law where we have a good-faith belief that such action is necessary to comply with a judicial proceeding, court order or legal process. https://amherstcurlingclub.com relies on "cookie" technology to allow you to re-access your registered account profile during a web session. This mechanism is employed solely for your convenience and for no other purpose. This Web site contains links to other sites. 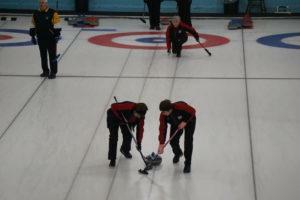 Please be aware that we, Amherst Curling Club, are not responsible for the privacy practices of such other sites. We encourage our visitors to be aware when they leave our site and to read the privacy statements of each and every web site that collects personally identifiable information. This privacy statement applies solely to information collected by this Web site. If visitors have any questions about the security on https://amherstcurlingclub.com, feel free to contact Customer Service.